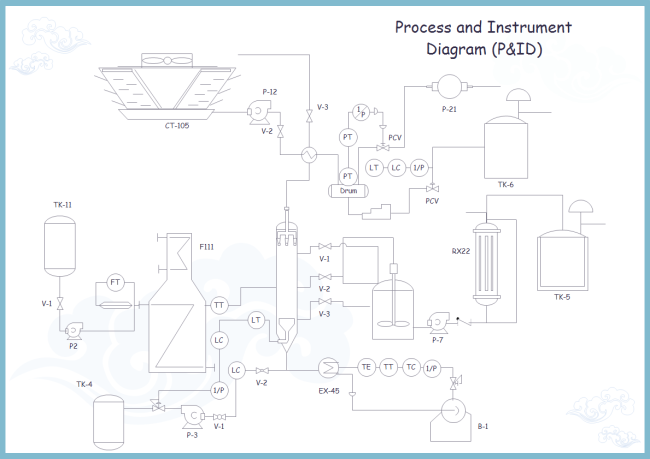 Description: A free customizable process and instrument diagram template is provided to download and print. Quickly get a head-start when creating your own process and instrument diagram. The flow of chemicals and the major equipment involved in the process have been pre-drawn, you only need to amend it based on your need.